Winter days are here to stay and above all, I'm looking forward to a great snowfall. Meantime we are dealing with cold and gray days which I like to combat by wearing colorful coats, as you are used to see me wearing every year. Today's color is -GREEN- and Voila the look! 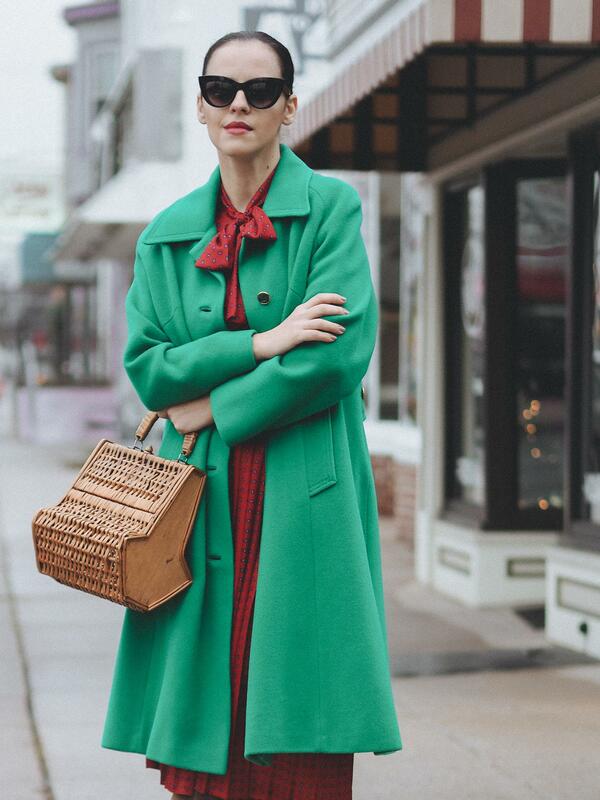 In the end, it's all about coats this season! 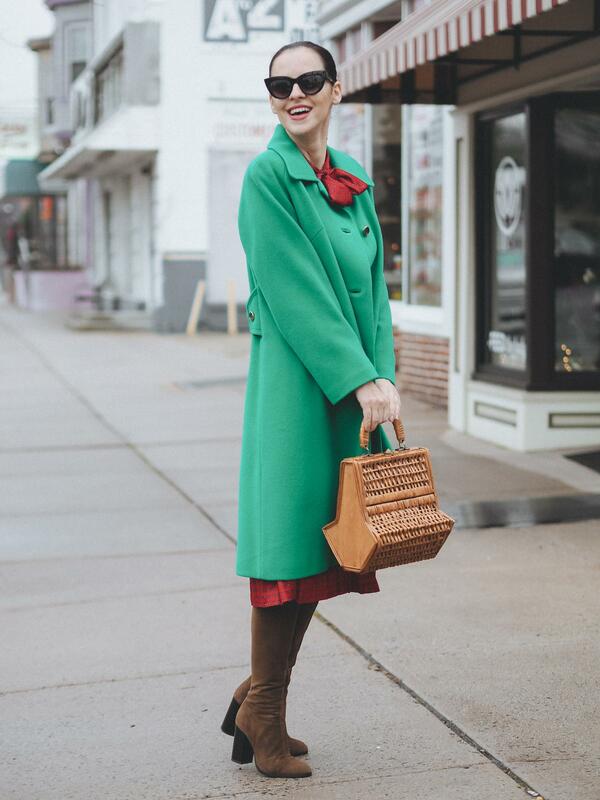 Always looking so gorgeous, feminine and retro-chic! Your dress is fantastic! 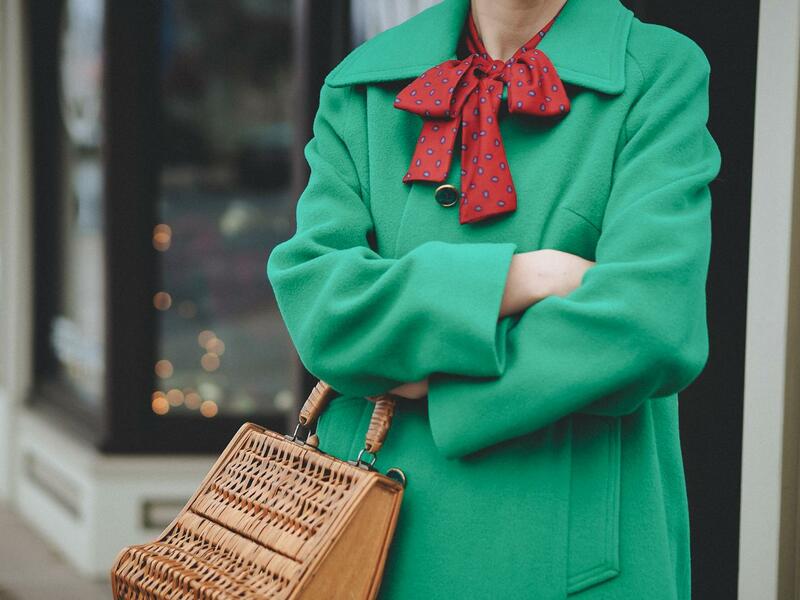 The green coat is lovely . 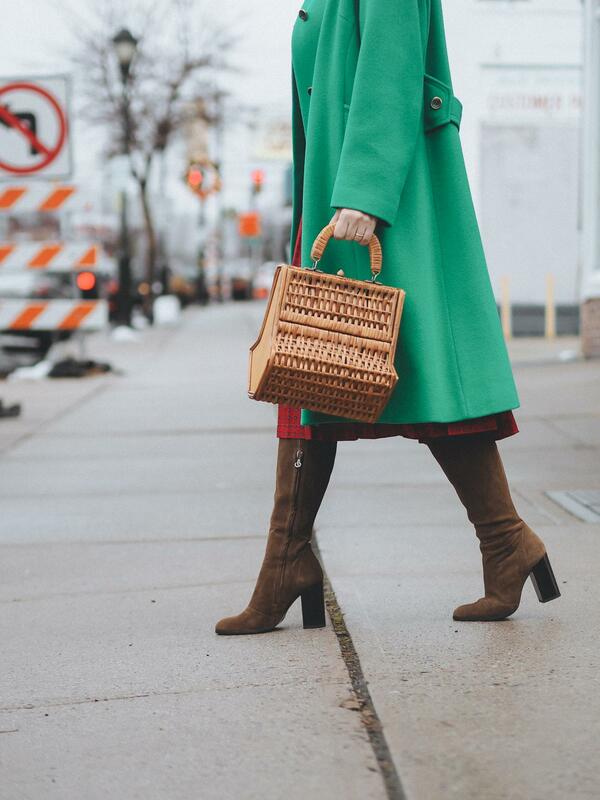 A signature coat can often complete your wardrobe .Gone are the days when you had one camel and it served for all occasions! Thanks great post love the photos. 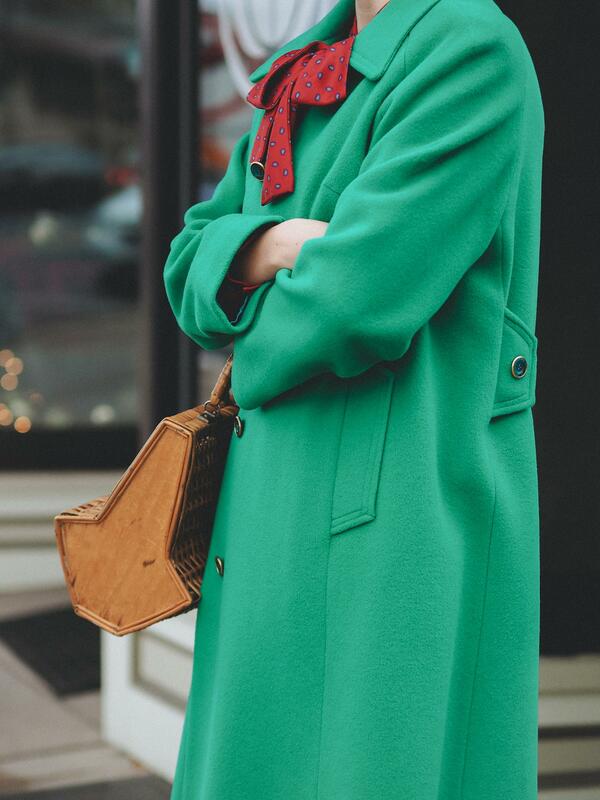 This coat is a statement … shape, color … everything in those pictures are a call for joy and happiness !